Question: I can ski reasonably well on most red and black pistes but now I'm finding it a little boring, I'd like to challenge myself, I would like to learn how to ski powder snow, is that possible? Answer: Yes, it is possible. It's not uncommon to be bored skiing the pistes all day. Off piste ski courses and Private off piste ski instruction will enable you to learn the skills involved in order to ski off piste safely with good technique and confidence. Question: I've been skiing for many years, I'm an intermediate skier making parallel turns most of the time but occasionally make stem turns, I feel that I'm lacking confidence, clarity and dropping behind, not advancing. Can you help me? Answer: Yes. You're at a phase where more than likely you're lacking in a positive understanding of the basic rythmic movements of good skiing. Book in for a skiing makeover by having some one to one private ski instruction. By going over the core basics you'll clarify your movements, build confidence and energise your skiing greatly. Question: My children have skied a few times but aren't making any more progress, can you help? Answer: Yes. Private ski instruction will be ideal. They'll be given an initial skiing proficiency test, at that point they'll have clear goals to work towards. They'll also work on new skiing skills as well as increasing their skiing mileage across the mountain. By structuring their skiing lessons they'll have a clearer picture of where they are now with an eye on where they should be aiming. Question: I'm a reasonably good off piste skier but I'd like to improve, can you help? Answer: Yes. 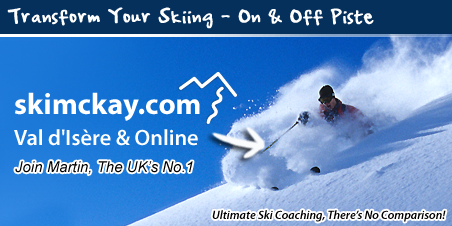 Private one on one coaching will fine tune your current skiing level. This will focus your attention on several different areas of off piste skiing including powder skiing. You'll touch on your basic ski technique as this will boost your skiing greatly, you'll also take on some new challenges to broaden your horizon. Question: I've just had knee surgery, having come back from ACL repair. I would like to get my confidence back, can you help? Answer: Yes. Martin knows what it takes having personaly undergone full ACL reconstructive surgery. It's absolutley possible to return to full skiing and advance your level greatly. You'll be shown the correct path to follow. Question: I'm an adult going skiing for the first time, do you teach beginners? 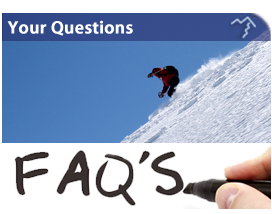 Answer: Yes, All levels of skiers are taught. As a beginner you'll learn the basic skiing skills to allow you to ski safely and confidently across the mountain. Question: My skiing confidence has been smashed from really bad previous skiing experiences from other ski schools. I would like to get a fresh start and build my confidence, can you help? Answer: Yes, of course. This is normal. Many people come to Martin at skimckay to get 'fixed'. Don't worry. You're not alone. Martin will boost your ski confidence. You'll never look back. But don't delay booking as he's in great demand. Dates are limited and sell daily.